I am not able to register unofficially for the contest. Please fix this. Auto comment: topic has been updated by GlebsHP (previous revision, new revision, compare). In the same time as Open Cup 10 stage. It's a pity. Is this contest going to start at the same time of the official contest? Because otherwise it should be unrated, right? It's not going to start exactly at the same time, but it will start before the statements become public and will end at the same time as the onsite contest (which actually runs for 4 hours). Links to any previous contests by the same authors would be very helpful. It'll give a good idea as to what to expect in the contest! Any help? Click on the user profiles, and go to Problemsetting tab. Quoted, "It'll give a good idea as to what to expect in the contest!". Wish Codeforces a happy Chinese New Year! I hope the Chinese New Year will bring good luck. I guess problem statements will also be short and nice. @ admin whenever i log in into my account(manish_nit) everthing appears in russian, i have to manually right click every time and select translate to english. this creates lot of problem during contests...is there a setting in the codeforces website to do it permanently. Of course not. You better learn Russian. Who would think of a language switcher?! Is it national level competition? Seems to be city level. why A and B has the same points ? Why not a combined division contest? Great authors and of course great problems! A contest by new( GlebsHP ) and old( Zlobober ) coordinator. I don't know! but this contest was good for me after about 30 bad contests. Great contest and perfect timing, do contest before dinner, then watching firework at mid night, happy lunar-new year. Its Sunday morning in my country. Is it bad if I miss church for contest ? I like contest!!! Bless you to take part in the contest, my son. i will have fun before the Chinese Spring Festival dinner. Luckily I won't miss the Spring Festival Gala at 20:00.
go to watch Pay New Year's call offering of bilibili at 18:00(UTC8)?.. We will miss you :) congratulations. Happy Chinese New Year(the Spring Festival) to everybody and wish Codeforces will become better and better ! What is the hacking test for problem B? If the solution searches the whole string from the beginning after each time it finds the pattern. Some participants were finding string matches in O(n) but ridiculously wrong ways. can i solve the problem B use kmp algorithm?? ?if not ,can anyone give some advice? by the way ,happy chinese new year! You really replace some characters with '#'! I just imagined to replace. 15874296 Although it's after the contest. I used C++ find() to solve DIV2B since input data was small ... I could do using KMP but coding using find() was easier. C seems so easy then A and B. I think C < B < A Due to overflow with binary search, 6 wrong submissions on A :\ I hope it passes now. Is this approach correct? Write numbers from 1 to (k-1)*n in first (k-1) columns then again start from column 1 write numbers in increasing order. I had to code C problem in like 5 minutes .... I wish I had not wasted time on A.
I think B and C are equally hard/easy and A easier than both of them. Where did you used binary search? I haven't use it at all. UPD: Well it seems that I will fail A after system testing. Actually I now think C is easier than A and B, just because its solution is obviously correct comparing to A and B.
I used binary search to find number of times one could buy glass bottles. Looking at others code now, it seems there's a direct formula, but i couldn't get it correct. how to solve D ? Now, I know why Russian coders are so good and accurate. Nice problem-set, especially first problem. Eagerly waiting for editorial for 4th and 5th question and hoping my solution for 1st three problems pass the system tests. I tried hacking a solution like this and also failed. Find returns at the first occurence, so that takes O(1) time. erase can take up to linear, according to specification. But it is probably very optimized and the Codeforces servers are really fast (solutions with 10^9 operations can pass time limits) so it passes. Perhaps erasing the first character is faster than erasing from the middle, as well? It passed the pretests XD, i dont think it will pass the final tests ... will it? EDIT : It passed! As far as I know python3 count method counts the amount of non-overlapping substring appearances, so your test is not going to hack the solution. Very interesting problems. I got a lot of fun. Thanks to authors! Ouch, the penalty for wrong submissions really showed through this contest because of the sudden spike in difficulty between C and D. Two wrong answers for A cost me 200 places in standing (from ~200th place to ~400th place). Actually, it surprised me, as I picked about 10-15 pretests in every problem. But still ,the number of cases seems to be much more than this. Omg, and here I failed with "-1". :D Hacked some other guy with 10^18 inputs. terrible! I fixed some bugs on problem D and failed to sumbit in last several seconds. Its B. Will it pass sys tests? Yeah. I should've read that editorial. I have that idea: using binary heap (aka priority queue) we sort all possible collisions of frogs by (time_to_collision, id). After that in cycle we pop first frog, kill what she could kill, update her step_size, time_to_collision and put her in the heap again (also doing this for her precessor). Stop when the next frog in heap can't kill anyone. Should be NlogN. But I stuck in some range checks and didn't finished the solution. I was thinking about the same solution, but moreover you have to update time_to_collision of previous frog (I mean the one, which gonna kill actual one). Yea, I've considered that ("also doing this for her precessor"). In my implementation I simply put another copy of previous frog in the heap (instead of find-delete-putagain, for performance). It shouldn't affect the result, because its value will be strictly lesser than old one, so old one will be skipped somewhere in the future. Nevermind, it was an arithmetic error in my manual solution. BTW, your solution seems to get TL later on. You already got 1 second on N=12500. And it could be 100000. I expected much as I don't really make any clever observations in it. Was more expecting a TLE instead of a WA though. It looks like the correct approach. Analysis will be published in the nearest 2-3 hours. Information like this should be added in the main post as it is very hard to find this kind of information in the sea of comments. Putting "Guest From the Past" as an A problem was a wicked move. I don't think this round had enough score differentiation. D and E should've been slightly easier, while A and C should've been switched (or C should've been made much harder, as it's unusual for so many people to get it). A wasn't actually hard, but it was pretty easy to make a silly mistake (a lot of people used it for hacks). The concept of C was roughly the same difficulty but the implementation was much easier (no derps). The eyes... Oh my god, THE EYES!!! What was the solution to D? I thought of some messy solutions but could not find a clean one. Realy A problem is tricky with Time limit and Wrong answer. I too thought that it should be O(1) but couldn't solve it, maybe because i freaked out because it took too much time to solve A. It was similar to this problem. I solved that problem by brute force but obviously here brute force won't work. :/ Next time I will try to find a better solution for every problem even if it gets AC. yes it is, but you lose 50 points because of resubmission. yeah! previous submit gets Skipped, and new one will judge in system testing. Is it any formula for O(1)? If the item costs b units and for returning you can get c units, then you can buy (n — b) / (b — c) + 1 items by n units? 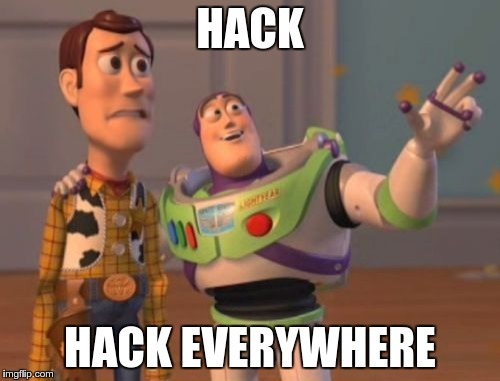 Today I've seen a bunch of guys whose solutions failed systests for A but still they hacked everybody in their rooms so they got about 700-1000 points just from hacks. Turns out you don't have to actually solve a problem to get sufficient points for it. Yea, its pretty usual thing for hackerfests. The task are ok, but very bad for the div 2 contest. Only the second task was on the level which it should be. If current characters in S and T are different maybe you won't return to the begging of string T.
I am very interested, whether someone got full score in official, on-site contest ? for D I came up with an DP solution where dp[i][j][a][b] represents the interval [i, j] can be written as the format required and current i position number is a and j position is b, a, b < 10, the solution will exceed memory limits but I fail to simplify my solution. it can take days for Glebshp to write/translate the editorial (remember round 327). So, let's not wait for editorial and write our solutions ideas here.
" Ops! I have a successful hack! :| " latisel says. Hmmm what's wrong here? It failed at the aaaaaaa... case, where the answer is the number of a's, but my answered was one less. Array char is needing one extra cell for null character after end. Sorry if my English is bad, I try hard learning it. Thanks for your answer! Your English is not bad at all! please, don't say anything before the contest. Problem set would be too easy. or Problem set would be too hard. DO we have editorials for this one ? Can someone help me find the problem with my O(n) B? I feel like it's the correct strategy implemented right... but I'm getting off by 1 on test 26. Thank you! I see the problem! Cheers. And as the_art_of_war says, the easier way is of course to just go the simple way so you can't run in to tricky edge cases like this. I think the length of second string is special so small that you can solve it with O(n*m) using two cycles. If you want to make solution with O(n) you should use special algorithms with strings like Z-function or prefix-function.Maybe there is more easier way to get solution with O(n). Can someone give an idea how to solve 4th one ?? Happy Chinese new year!Can someone tell me how to solve the A question?I see some answer:they all used (n-b)/(b-c),but I don't know why? thanks,but I still have a question:why use n-b not n?why I should use n-b?I can't know very well. My question is why n should minus b?My first use n,but I know I am wrong.Can you help me? If you don't have enough money(like n<b),you can't buy a glass one. So you shoule use n-b not n,I hope you get it. thanks,I get it,happy Chinese new year. Somebody help me! What the problem with that solution? Problem B.
Server time: Apr/24/2019 09:59:44 (g1).